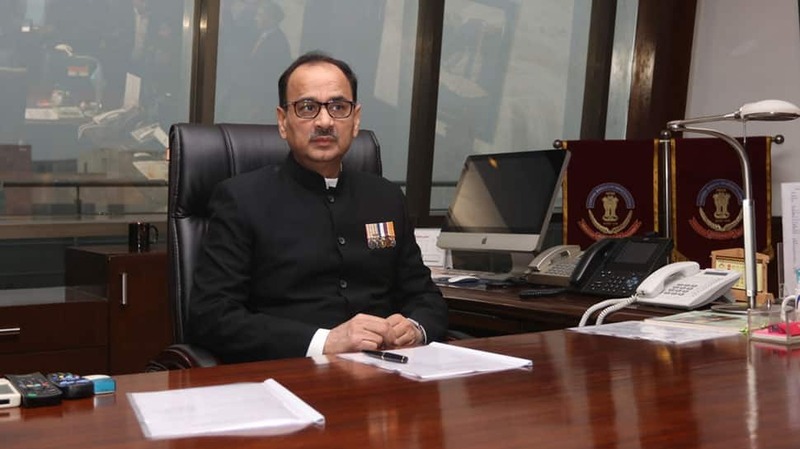 New Delhi: Former CBI Director Alok Verma has been dropped from the list of speakers at the Delhi’s prestigious Sri Ram College of Commerce (SRCC) Students’ Union Business Conclave 2019, officials said. An invitation was sent to him on January 9, a day after he was reinstated as the director of the probe agency by the Supreme Court, with a request to speak during the event on Thursday, they said. The next day, a high-powered committee comprising Prime Minister Narendra Modi, Justice A K Sikri and leader of Congress in Lok Sabha Mallikarjun Kharge decided to transfer him from the post of CBI director in a split decision, with Kharge giving a strong dissent note to the committee. The event is considered a big platform, where leading politicians and other eminent personalities address the student. PM Modi had also addressed the event in 2013 in run-up to general elections of 2014. The college prides itself in having alumni like Union minister Arun Jaitley. The permission did not come from the college authorities so he would not be attending the event tomorrow, an official in the know of the development said on the condition of anonymity. The invitation was sent to him on January 9 but that was before his ‘resignation’, the official said. Asked whether a clearance was sought from the college authorities before inviting Verma, the official said it was taken. But once the controversy erupted and there were “a few other issues”, the organising committee decided to drop him, the official said. When reached for comments, SRCC Principal Simrit Kaur said she was not aware of the invitation and the subsequent development. Verma, who was in a bitter tussle with his deputy, Special Director Rakesh Asthana, was first removed from the post of CBI director by the government after he had ensured filing of an FIR against Asthana on corruption charges. The two officers had levelled allegations of corruption on each other. The Supreme Court had rejected his “transfer” and reinstated him on January 8, 2018.